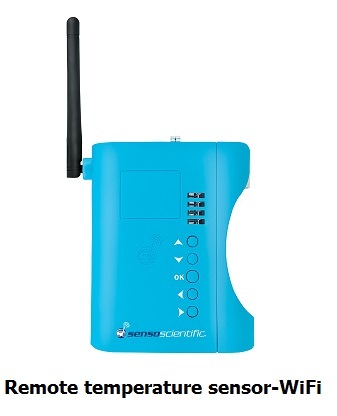 This is a remote temperature sensor which collects data and transmits through WiFi communication.The device has its own display of the current readings through a LCD display. The system is connected to a cloud based storage system which will help the user to monitor the current data from any part of the world. 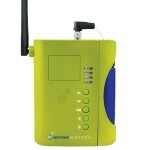 The cloud based system is also capable of generating phone call, SMS and email alerts for temperature excursions. 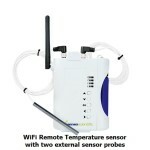 Other sensors such as door sensors, CO2 sensors, Humidity sensors etc. also can be connected to this remote sensor display unit. Vacker Group supplies remote temperature sensors in United Arab Emirates, Qatar, Kuwait, Kingdom of Saudi Arabia, Bahrain, Jordan, Iraq and Oman. Vacker Dubai supplies all types of remote temperature sensors in Dubai, Abudhabi, Riyadh, Jeddah, Dammam, Muscat, Doha, Kuwait, Bahrain, Erbil, Baghdad etc.